For a glove that protects against the elements and is made for maximum all mountain performance, choose the Level Heli GORE-TEX Glove. The waterproof goat leather palm and Primaloft® Boa Fleece insulation work to keep your hands dry and insulated throughout your entire adventure. Water resistant stretch Youkon Nylon material provides a natural and versatile fit. With a long cuff to protect against biting winds, you'll have no issue staying fully protected. 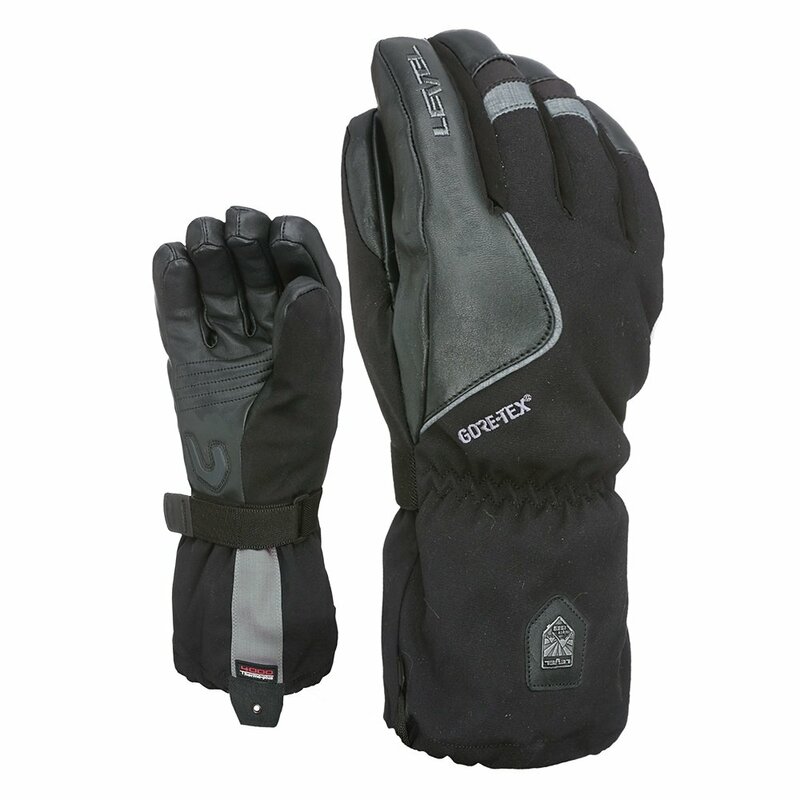 The Level Heli GORE-TEX Glove is sure to help keep a smile on your face, and the feeling in your fingers. "How do these compare for warmth with Hestra Army Leather Heli Ski Gloves?" "Thank you for you inquiry. We do not carry the "Hestra Army Leather Heli Ski Gloves" to compare. We hope this information helps! " Great pair of ski gloves. Very warm even in extreme conditions. My only comment is that to keep the gloves in good condition, the leather areas need to be properly maintained with a leather cream. These gloves fit about 1/2 size large but if you want warmth, you want a little extra space.The gloves are well made and really are warm- I have tried most of the best gloves on the market and they are never what they say as far as warm is concerned. These actually are WARM. Good gloves for the $$. Good looking too.